The Jerry Segal Classic has raised more than $17.5 Million in 29 years to benefit the patients of Magee Rehabilitation Hospital. The Friends of Jerry Segal support numerous programs and services for individuals with disabilities. 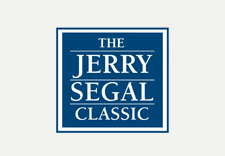 Whether helping a patient purchase a wheelchair, providing funds to help patients as they return to their family, friends, and jobs, or funding community initiatives such as Magee's peer support programs, the Jerry Segal Classic has touched the lives of thousands of individuals. For more information or to participate in the golf outing, please call (215) 587-3090 or email SegalClassic@MageeRehab.org.